Samsung is poised to deliver a smartphone with a fingerprint sensor embedded in its screen by the end of the year. A source familiar with the matter recently told The Korea Herald that Samsung's display arm has prepared “three or four” solutions for Samsung Electronics to embed a fingerprint sensor inside the main display of the Galaxy Note 9. Both divisions are said to be “seriously considering” one of the solutions. The source added that the delay in finalizing the concept for the phone is due to the work in adopting the in-display fingerprint sensor. A final decision on adopting the technology will be made by the end of the month, the source said. That should still give Samsung enough time to manufacture the phone without any significant delays. The publication notes that in previous years, the concept for a flagship phone has been finalized about five months before launch. 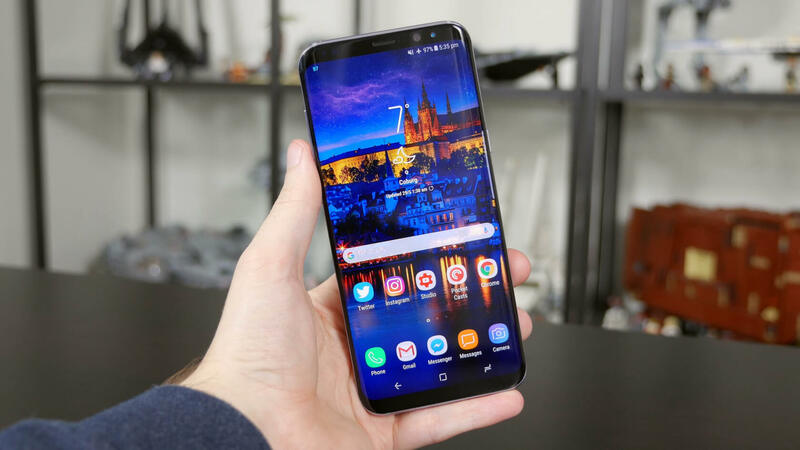 If finalized by the end of the month as the source indicates, that would put the launch somewhere around late August or early September – right in the middle of Samsung’s usual Note launch window. Samsung has reportedly been working to embed the fingerprint sensor in smartphone panels for years but solutions reached thus far have not met company expectations. Moving the sensor into the display panel would free up additional space within the phone to accommodate a larger battery. The feature would also help differentiate the Note 9 from competing flagships.